WASHINGTON, USA (AFP) - More Americans bought digital music last year while the number purchasing compact discs declined sharply, the NPD Group market research firm reported yesterday. NPD, in its annual Digital Music Study of US consumers, said the number of US Web users who bought digital music increased by more than eight million in 2008 over the previous year to 36 million. Meanwhile, there were nearly 17 million fewer buyers of CDs in the United States last year compared with the previous year, it said. NPD said purchases of digital music downloads increased by 29 per cent in 2008 over 2007 and now account for 33 per cent of all music tracks purchased in the United States. The market research firm said the decline in CD buyers "cuts across all demographic groups, but was particularly focused on teens and consumers age 50 and older". "Rising incidence of paid downloads is a positive development for the industry, but not all lost CD buyers are turning to digital music," said Russ Crupnick, NPD entertainment industry analyst. NPD said that overall, there were 13 million fewer music buyers in the United States last year compared with the previous year. The decline in music purchases was led by a 19 per cent drop in CD sales. NPD said only 58 per cent of Internet users reported purchasing CDs or digital music downloads last year compared with 65 per cent in 2007. 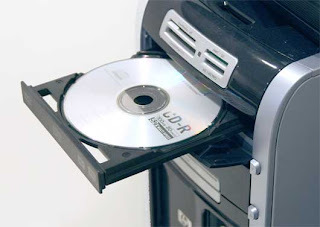 It said the primary reason given by consumers for not purchasing CDs was that they were spending less on entertainment because of the recession. But they also expressed concern over CD prices. While music purchases may be lower, NPD said music listening appears to be increasing. It said awareness and usage of Pandora, an online radio station, doubled year over year to 18 per cent of Internet users. It said more consumers were also listening to music on social networks such as MySpace, particularly teenagers but also college-age Internet users. Nearly half of US teens listen to music on social networks, the study found, up from 37 per cent in 2007. "The trends we're seeing in our consumer tracking studies are evidence of the continued transformation of the music industry," said Crupnick. "Just as music piracy and the advent of digital music ended the primacy of the CD, we are beginning to see new forms of listening challenge the practice of paying for music. "The music industry now has to redouble efforts to intercept and engage these listeners, so they can create revenue through upselling music, videos, concert tickets, and related merchandise."